Here is an authentic game used baseball from the Texas Rangers vs. the Boston Red Sox game from Fenway Park on April 20, 2008. The Sox were losing 5-0 but rallied late and got two runs in the seventh and four runs in the eighth and won the game 6-5. 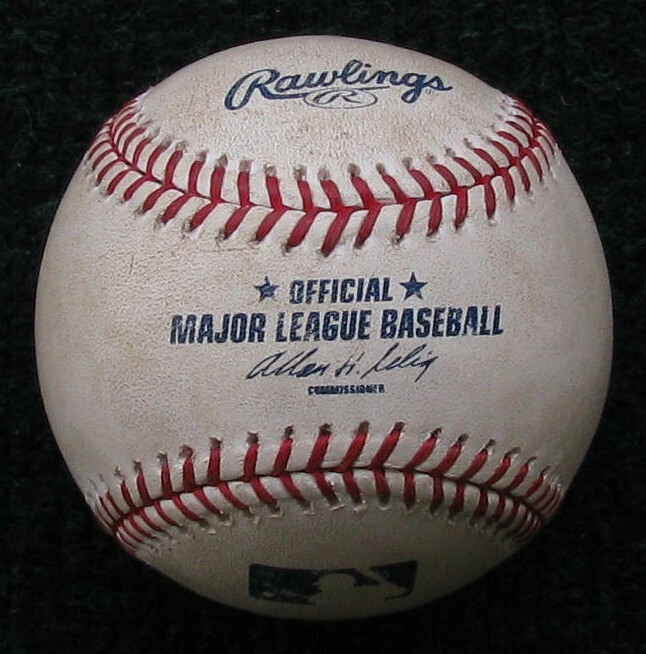 This ball was obtained directly from the batboy of the Boston Red Sox. Here's a look at my ticket to the game.